Yahoo Finance have offended a lot of people with this typo. It's a doozy. 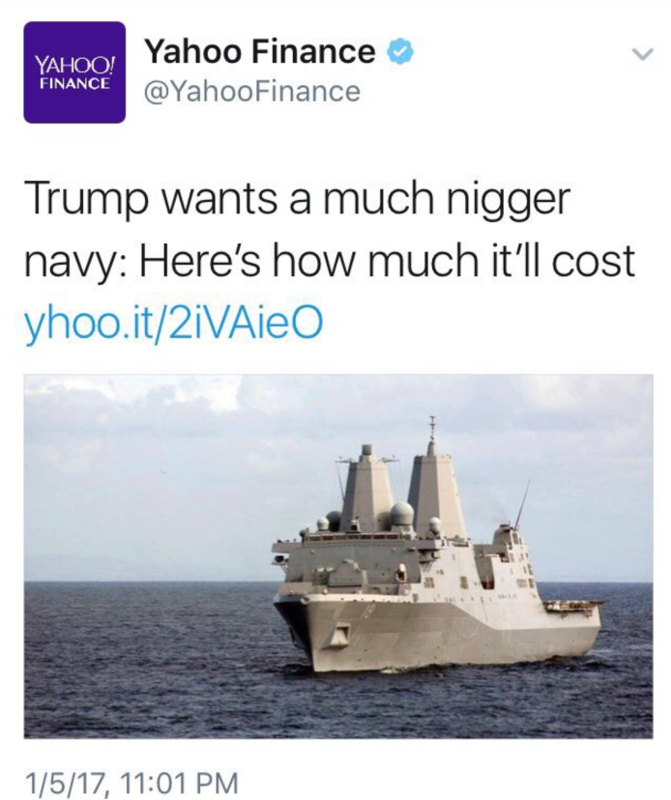 Yahoo Finance have managed to offend a lot of people in one tweet, linking to an article about the navy. Yahoo Finance took to twitter earlier to apologise for a spelling error they made earlier. The spelling error they are referring to is a doozy. Here it is. 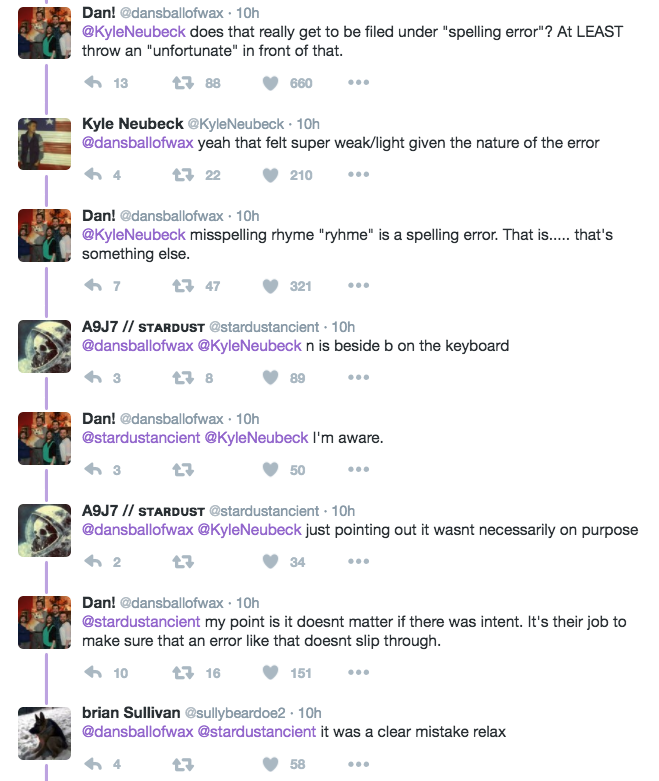 People on Twitter have been using their apology as a new place to mock them for the error, and debate how they could possibly have made such a mistake. Somebody should tell them that Chrome would have flagged this up as a spelling error.